Learning from experience is the worst possible way to learn something. Learning from experience is one up from remembering. That's not great. The best way to learn something is when someone else figures it out and tells you: "Don't go in that swamp. There are alligators in there." ... and I'm not going to take this any more! It can be hard to implement change, and one of the hardest things about it is to recognize the need for change in the first place. It's easy to take the status quo as, well, the status quo. This is especially true for things that seem like they've just been the way they are forever. Let's talk about milk. I can remember (barely) when milk came in glass bottles. They were attractive, some with sinuous curves, and the heavy glass felt solid. They were practical; the bottles were returned, washed, and reused. But they had their impractical side as well -- as noted, they had to be returned. Plus they were heavy, and anyone who's ever dropped a half-gallon bottle full of milk appreciates that they made a hell of a (dangerous) mess. 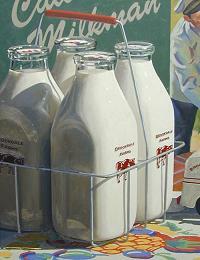 But people lived with milk bottles and their limitations for a generation or more. Coz you have to focus on the shortcomings in order to think about improvements. 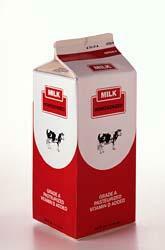 At some point, some genius invented the milk carton, known under the brand name Pure-Pak. This was a big leap. It's lightweight and sanitary. The cheap materials make it disposable (these days, recyclable) -- one whole leg of the milk-delivery process gone, just like that. It took some imagination to conceive of this level of change. 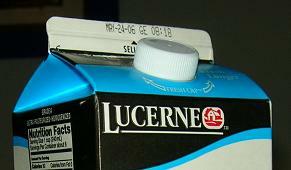 The Pure-Pak container is ubiquitous; for most people, it's been around essentially forever. In fact, it's so commonplace that it took some thinking to realize that it's not really ideal. The square shape favors transport and storage, but it's not great for handling -- for example, children can't handle a full half-gallon Pure-Pak container very well. (But at least when they drop it there isn't broken glass everywhere.) And most people at one time or another have cursed the "easy-open" spout that is never easy and sometimes doesn't want to open. In the meantime, the erstwhile milk bottle had also gone off on another evolutionary path, namely the plastic jug. As noted, the Pure-Pak container is hard enough to wrestle with when it's a half-gallon container. A gallon? Eight pounds? Forget it. A designer somewhere came up with a jug that was somewhat square (storage again), cheap enough to be disposable (plastic), and -- the stroke of genius -- had an integrated handle. If people wanted to buy milk by the gallon, here was a practical container for them. Refrigerators began appearing that had special wide shelves in the door to accommodate gallon jugs. Another generation passes and the plastic milk jug becomes a fixture. But really, is the gallon jug so perfect? Consider that the opening in the jug is close to the middle. When you try to pour out of a full milk jug, odds are good that you'll dribble and miss the glass. Plus the squat shape of the jug means that the weight distribution isn't great. And if you've ever used a plastic jug to try to pour in a hurry, you'll also have noted that the liquid comes out at its own pace. Could this be improved? Well, people are trying. 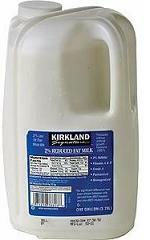 Costco has introduced a new milk jug that is square and that pours from the corner. Some people don't like it (#, #). But it's gotten them thinking about what makes good design in a milk container. Why are we talking about milk again? Oh, yeah -- people used hundreds of millions of milk containers in the last 100 years or so. But it took some effort to not be satisfied with the commonplace, and to start thinking about what the containers' limitations were and how they might be improved. You don't have to be a product designer to have insights like this. Obviously, if you do create things -- software, cell phones, milk jugs -- you have constant opportunity to think critically about where the flaws are. But you can use the same kind of thinking anywhere. The next time you use your kitchen, consider whether everything you need is right where you need it, whether things could be more convenient, whether you're ever annoyed by something. You can do it for your office, garage, car, wherever. What it takes is practice in sensing where the sticking points are -- to realize that that bottle really is awkward, that those two steps to the cupboard are unnecessary, that having to click four times to get email is irritating. And then think about how to fix it. A memory of my early days in Mexico was that soda-pop bottles were (are?) reused rather than just recycled, and it was the norm, actually, to get drinks in bottles that often looked like they'd been around the block a few times. Till your brother drinks out of the spout, sorry. If I recall correctly, there was a brief period when you could get gallons of milk in huge Pure-Pak containers that had a plastic handle on the top. Which they do, at least in the US, where we've been convinced that large quantities of milk are good food for young and old. As Harold McGee notes, however, what we in the US call "lactose intolerance" is a misnomer; only a minority of human adults (essentially, those descended from Northern European stock) continue to generate the enzyme lactase after weaning and can therefore digest milk. In most parts of the world, milk is consumed by adults, if at all, in some sort of pre-digested way -- cheese, yogurt, etc. 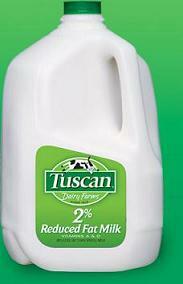 It really should be called "lactose tolerance" and noted as an anomaly in human development.